I saw it last week on Food52. It came to them by way of dessert guru Alice Medrich’s cookbook. 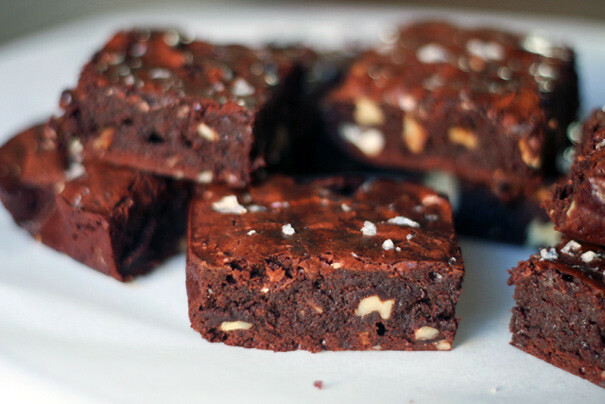 But even though this brownie recipe was news to me, it’s been kicking around for a while. Smitten Kitchen’s made ’em. Bon Appetit featured them with a slight twist: they browned the butter first. I’m not claiming to have discovered this recipe by any means, but I will claim this: these are the best brownies I’ve ever made, hands down. And who would’ve guessed that the secret is what you see in the image above: cocoa powder. Good old fashioned cocoa powder. No expensive bars of Valrhona chocolate, no imported European butter. Just cocoa powder. What the cocoa powder gives these brownies is structure; whereas, the melted chocolate brownies are kind of slumped over like stoner teenagers watching “Teenage Mutant Ninja Turtles” on the couch, these cocoa powder brownies sit up straight in their chairs, raising their hands first to answer the question. Sure, they’re obnoxious, but they’re also the best. 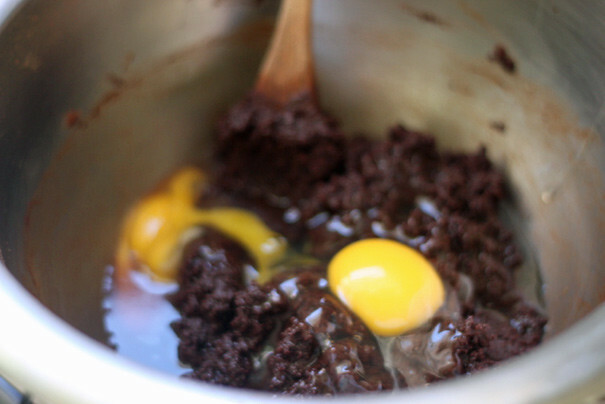 The process is so easy, I can’t imagine making brownies any other way going forward. You put butter, cocoa powder and sugar into a double boiler and turn up the heat until the butter melts and you have a thick, chocolate paste. You let it cool and then add vanilla and eggs. At the end, you add the flour and, if you like ’em, chopped walnuts. You know, it’s funny, as I’ve gotten older I’ve started appreciating walnuts in my brownies. When I was a kid, I hated them, but now I like the texture and flavor it adds. Plus, back on my Mediterranean diet kick for a second, it makes the brownies healthy! Ahem. Per Food52’s advice, sprinkle with flaky sea salt and bake for 25 minutes (confession: I added a splash of coffee and that upped the baking time to 40 minutes; give it a try, if that sounds intriguing) and there you are. Look, I know what you’re thinking: “Here he goes again with one of his ‘best of your life’ posts.” But did I steer you wrong with broccoli? I did not. And I still stand by this chili as the best of my life. 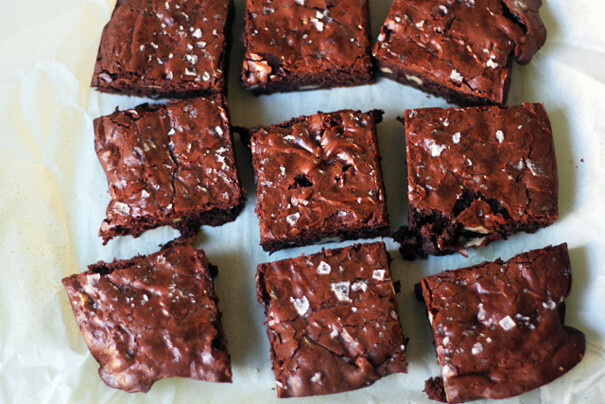 So make these brownies and we’ll talk. I wager that you’ll find them delicious; and perhaps, as happened with me, this’ll become your go-to brownie recipe forevermore. I’m ready to sign the papers. Summary: From dessert guru Alice Medrich by way of Food52. Preheat the oven to 325. Spray an 8 X 8 baking pan with cooking spray, then line it with parchment paper so the parchment hangs over the sides (this way you can lift the brownies right out). Spray the parchment too. 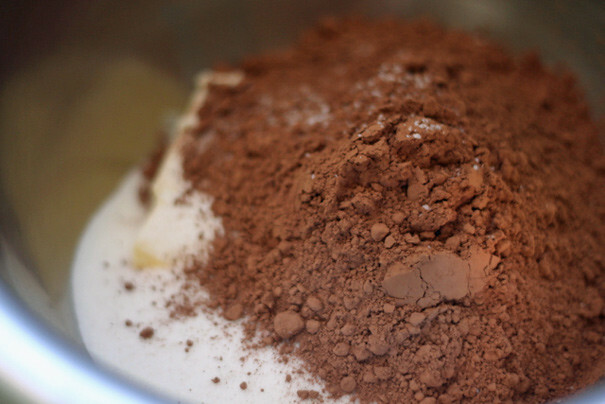 Combine the butter, sugar, cocoa and salt in a medium metal bowl and fit the bowl on top of a pot of simmering water. Stir, watching the butter; if it’s not melting quickly enough, turn up the heat. Keep stirring until the butter’s all melted and you have a paste. Stick your finger into the paste and when it’s hot enough that you’re like “ow,” remove the bowl from the pot and allow it to cool a bit. Bake until a cake tester comes out mostly clean, 20 to 25 minutes. Let cool on a rack. Lift up the parchment on to a cutting board and cut the brownies into squares. Food52 says 16 or 25 squares; I say, “Bigger brownies are better” so make 9 big brownies. As I mentioned in the post itself, I added a splash of coffee because I had some leftover. That upped the baking time but gave a subtle hint of coffee flavor. For a quicker way to introduce coffee flavor, stir in some instant espresso. Just a little bit’ll do the trick.